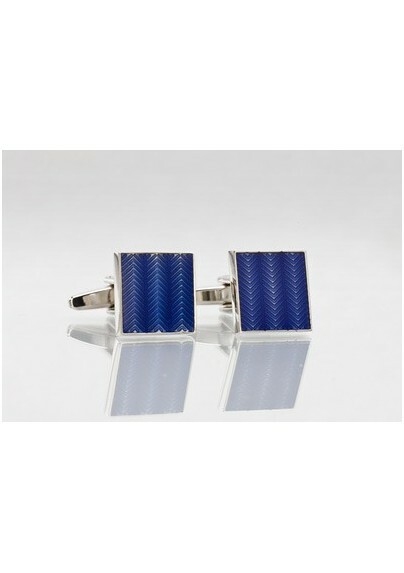 Add some color to your shirt's cuffs with these blue herringbone patterned glass cufflinks. They are part of Mont Pellier's color series and will look best in combination with a contrasting whtie or pale blue dress shirt. This pair comes shipped in Mont Pellier's gift box.